I hope you are enjoying a sunny Tuesday. This past weekend BlueBoots went to Newport, RI. Well-known for its mansions, ice cream, and artisan shops. I came across a soap boutique that makes all it’s own soaps and soap products (bath salts, moisturizers, soap bars, bath bombs, and more) with natural ingredients, without sulfates and parabens in a variety of fun colors and scents. 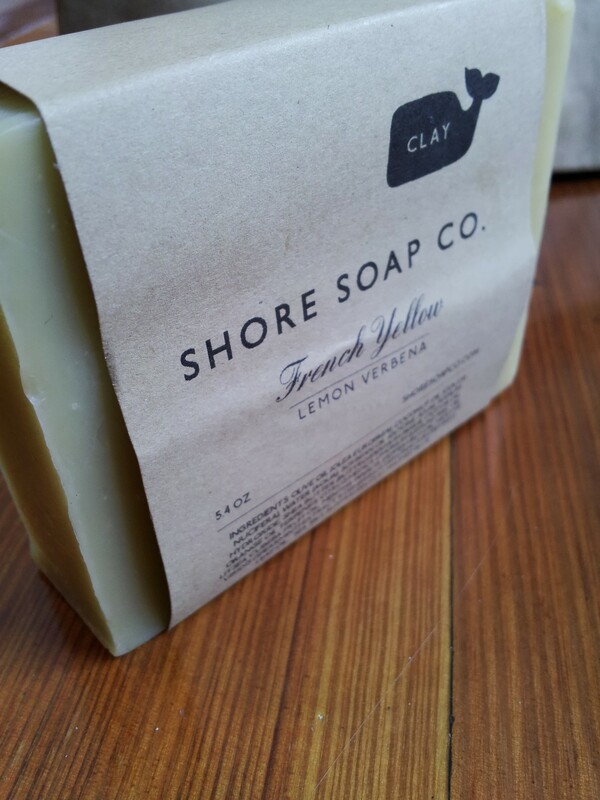 I had a great time and got myself a clay soap to try. I’m always up for trying new things! 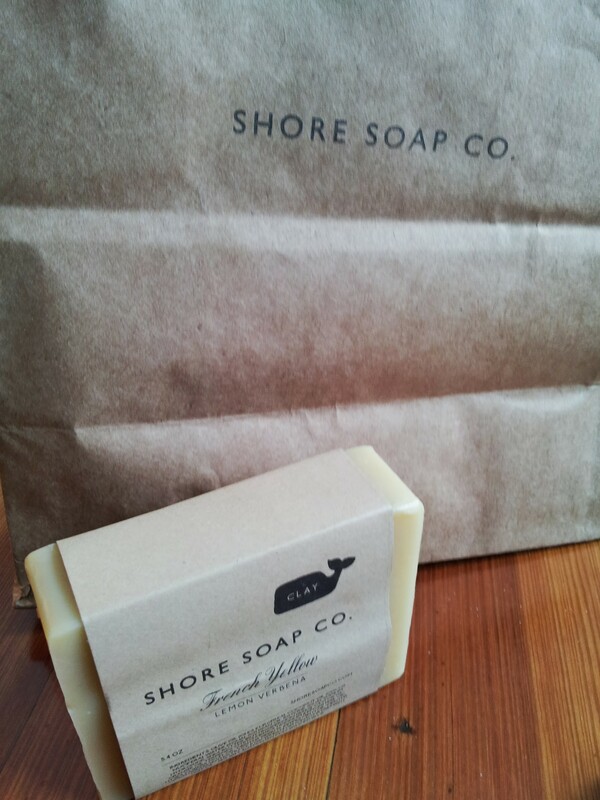 Although I didn’t pick up a sea salt soap myself, I did enjoy the scents. Mermaid Kisses, Catching Waves, Changing Tide, Men’s Original, Soothing Aloe, and Warm Sand were among my favorites. 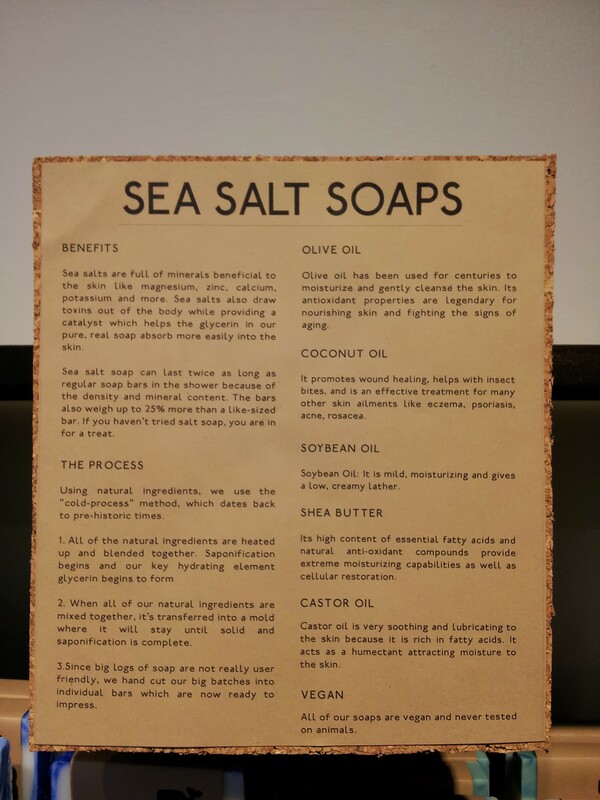 Sea salt soap makes sense – you know how after being by the ocean for some time your face sometimes feels smooth and dewy soft? That sounds good to me! Here are a few shots of my new (and first!) 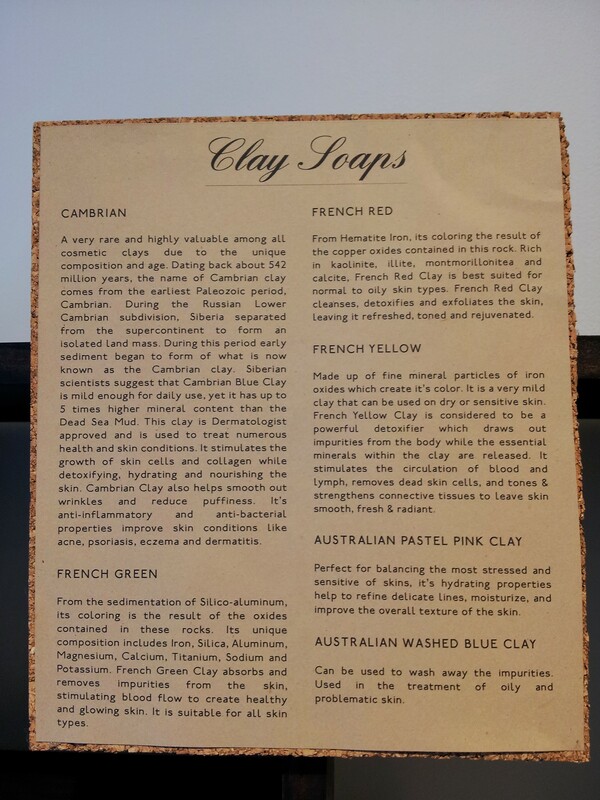 clay soap. 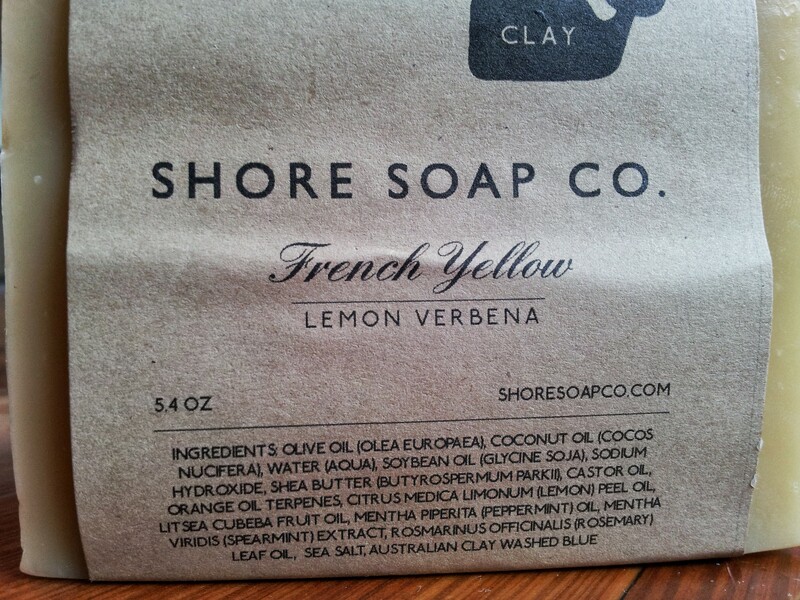 Have any of you tried clay or sea salt soaps? What do you think? 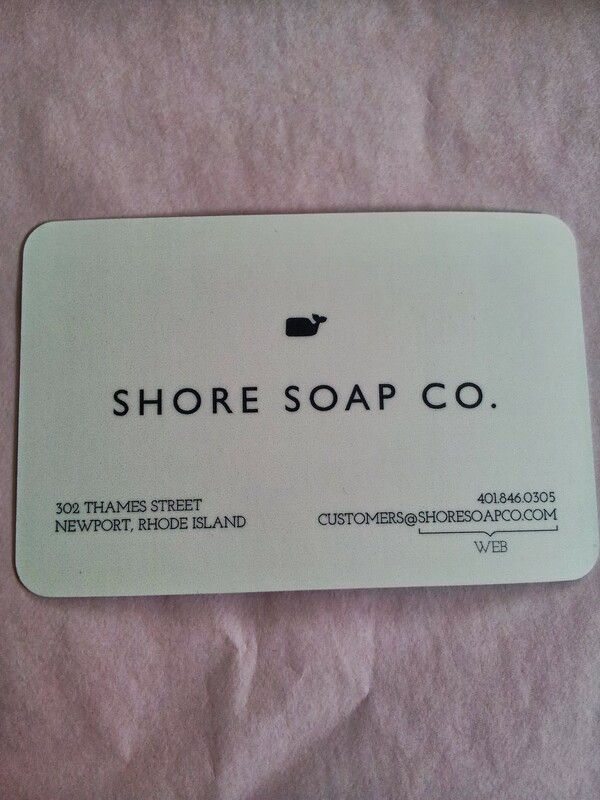 Check out Shore Soap Co. yourself! I think I’m a fan so far. 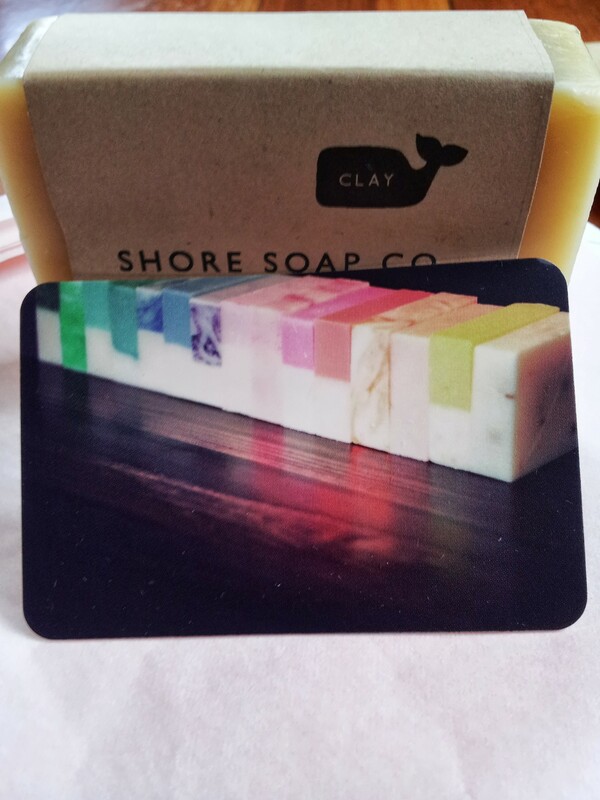 Tags: beauty, Boutique, clay soap, local beauty supplier, Newport, Newport Rhode Island, sea salt soap, Shore Soap Co. Bookmark the permalink. Previous post ← The Best Chocolate Milk. Period.